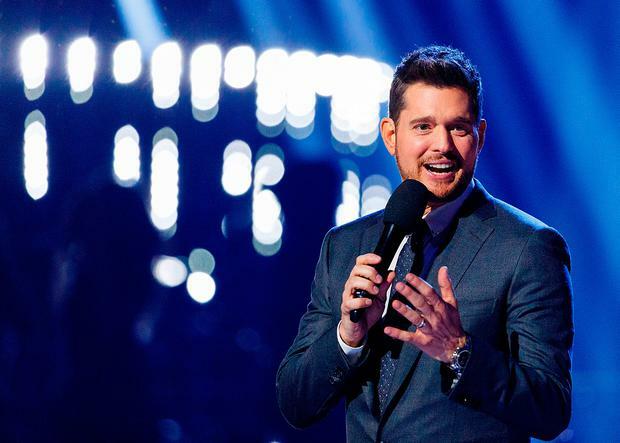 Michael Buble has added an extra Dublin and an extra Belfast date due to demand. Tickets are selling like hot cakes for the first two dates at Dublin's 3Arena on June 6th and Belfast's DDE Arena on June 9th next year. He will now also play Friday June 7th at the 3Arena and Monday June 10th at the SSE Arena. Tickets are on sale now. The Canadian crooner performed to a sold-out Croke Park audience earlier this year, his first concert in two years after his two-year-old son was diagnosed, and successfully beat, cancer. Buble first played Ireland in 2007 to an audience of 1200 people before returning in 2013 for five nights at The Point. Croke Park was, he said, specifically his choice for his comeback this time. "There was no fluke as to why I chose to come here. It was my choice. There’s just a lot of love here, a great rich history of an artist who loves a country and it has shown me a lot of love," he said. "As you can imagine it’s a little bit daunting after not having been on stage for a few years and it meant a lot to me that this would be where I would make the comeback." Prices start at €90.50 for Dublin and from £80 for Belfast .